Weird animal friendships. The crow and the cat. The fox and the cat. The owl and the cat. The human and the cat. Also the elephant and the ostrich, but stuff like that doesn't involve a cat. I heard that whenever love manages to get through a cat's haughty disinterest, an angel gets its wings. But what happens when a snake and a spider strike up a friendship? You end up with a vicious, venomous predator, of course! 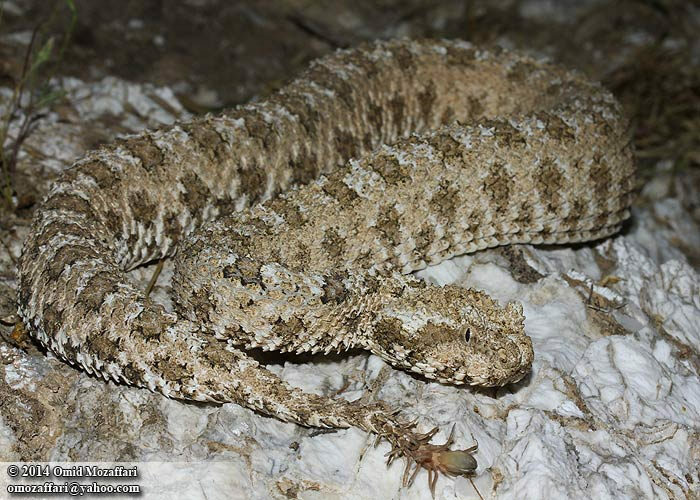 More specifically, our old friend, the Spider-tailed Horned Viper. Not so much a snake and spider friendship, more a snake with a demon-tail. They come from dry, mountainous areas of western Iran and, at last, we can see exactly how they use their strange, devilish tail. I have to say, it's remarkably convincing. I'm impressed! 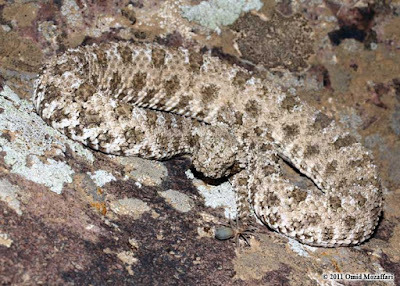 The snake is mostly covered in rocky, stony colours so they easily disappear among the rocks. Then they get their caudal luring on. They wriggle their tail in a manner not unlike the Death Adder. With the rest of the snake perfectly still, that one bit of motion is extremely fascinating to any onlookers. And boy! With those nasty, elongated scales it really looks like a spider running around most imprudently. This looks pretty good to any birds in the area. A tasty spider rushing about in the open? It's almost as if it wants to be seen! Yeah. 'Tis a bit. Huge thanks to Bk Jeong for bringing this sweet video to my attention! Evolution is a mad genius sometimes! Yup! Sometimes more mad than genius, sometimes more genius than mad.